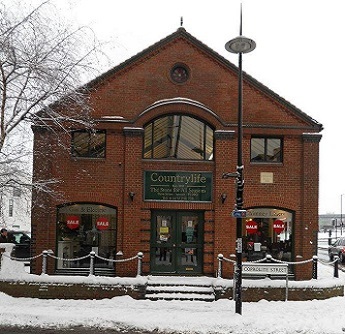 Countrylife is a local independent shop with competitive prices. It is a family run business, established in 1978 and has evolved into Suffolk’s Premier Stove & Fireplace Company. We have built an enviable reputation for offering quality products throughout East Anglia, whilst retaining the personal and friendly touch of a family business. We carefully listen to our customer’s requirements and our expert team is on hand to offer comprehensive advice with suggestions, to ensure that the customer chooses the right product to suit their needs. 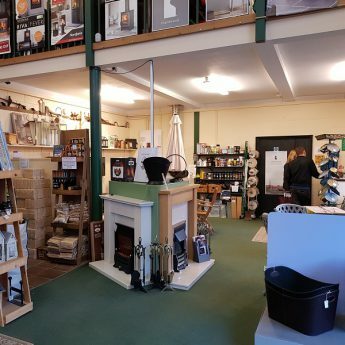 We have our own purpose built, award-winning showroom and the qualified staff at Countrylife have around 100 years of combined experience between them. We are dedicated to providing an excellent service supplying a comprehensive range of stoves, fires, fireplaces, flue pipe, liner packs, insulated twin wall chimney systems, spare parts and fuel. Everyone wants to be more energy efficient and to do our bit for the environment, we also have a working pellet boiler on display to show how easy they are to use. Talk to us – we pride ourselves on our personal and friendly service. It is now 40 years since we sold our first stoves and fireplaces, of which many are still working. Our customers come back and also recommend us to their family and friends. It is with great pleasure that we are now providing stoves for our customer’s children, who have grown up and now have their own homes to heat. On display are over 100 wood burning, multi-fuel, gas & electric stoves and open fires, including fireplaces made of timber, stone, cast iron and marble. We have something to suit all tastes and all budgets. We also offer a made-to-measure service for surrounds, hearths, beams, sparkguards and fenders. Plus many items which make excellent gifts. Visit our showroom to see the wide selection of products we offer and we will be happy to listen to your requirements and expectations. We can then advise you on the products that best suit your needs and situation. We have an easily accessible free car park at the rear of our showroom, which is situated near Ipswich’s Historic Waterfront.